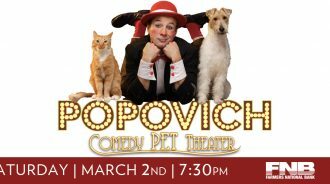 Popovich: Comedy Pet Theater provides fun for the whole family at SKyPAC! 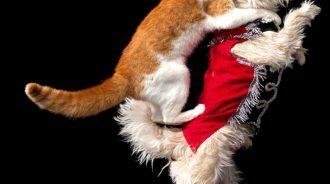 The World Famous Popovich Comedy Pet Theater is a family-oriented blend of the unique comedy and juggling skills of Gregory Popovich, and the amazing talents of his furry costars. Gregory Popovich is a fifth-generation Russian circus performer who learned early on how to develop strong bonds with animals. 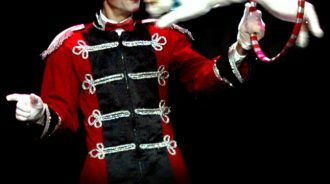 POPOVICH COMEDY PET THEATRE has been voted “Best family show in Las Vegas” and were finalists on AMERICA’S GOT TALENT. Comedy Pet Theater features an amazing cast of housecats, dogs, parrots even geese and mice! 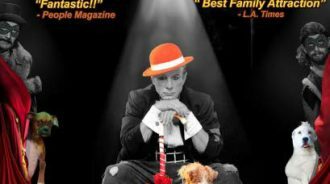 Critics describe it as a unique blend of comedy, world-champion juggling, and the extraordinary talents of more than 30 performing pets, each one has been rescued from animal shelters and given a new “leash” on life! They love to perform their skills and stunts on stage. New additions to the show include – a goat duo Kurt and Helgo, and a special guest star Mr. Diamond, the miniature horse! See this wonderful stage show and all of its talented animals and cast LIVE at SKyPAC, it’s sure to be a great time for the whole family. Become a 2018-2019 SKyPAC Season Subscriber to get Popovich: Comedy Pet Theater Tickets Today! Become a 2018-2019 Season Subscriber! Check out SKyPAC’s subscription packages online here, or call 270-904-1880 for more information. Why Become a SKyPAC Season Subscriber?